Will US Join Russia in Effort to Untie Syrian Knot? On Monday this week, the attention of politicians and world media was riveted on the events in New York, where Russian President Vladimir Putin addressed the United Nations General Assembly. No policy statements were expected this time. Two weeks before the event it had been known he would focus on the situation in Syria. Ahead of his UN speech the President revealed topics he would touch upon in an interview with CBS News. The world waited for Russia’s new initiatives. According to UN Secretary General Ban Ki-moon, Syria spins out of control and five countries »hold the key» to a political solution to Syria, including Russia. The United States, the main opponent of Russia in Syria, faces great difficulties. Its Middle East policy has proven to be too ineffective. Washington needs help. The White House does not want to cooperate with the Kremlin, but it cannot cope alone. Now America is trying to save face and prevent its fading into the background as Moscow increases the military aid to the Assad’s government. Ambitions prevail while the US strives for dominance. The Obama’s Syrian policy is not popular. For instance, in his UN speech Iranian President Hassan Rouhani said the United States should take into consideration the realities of the situation in the region. According to him, «It is urgent for the United States government instead of explaining the truth of the region and throwing about baseless accusations and pursuing other dangerous policies in defense of its regional allies who only cultivate the seeds of division and extremism. This must be brought to an end and its actions must be made compatible with the realities of the region». Before the session, West European leaders also did not hide their dissatisfaction with the US policy on Syria. They feel frustration as all US efforts boil down to inefficient air strikes against the Islamic State radicals. They don’t like the fact that Washington has stymied the political process of seeking solution to the crisis. Today Syria is in limbo. The humanitarian situation gets deteriorated, warring terrorist groups become stronger and dozens of thousands of Syrians have become refugees leaving their home country for the «old continent». It would make sense if Obama at least admitted this fact in his address. It’s not about Syria only. The world community had hoped that changing the policy on Syria the United States would have shown at least some readiness to take into consideration the opinion or perspective of others. These hopes were dashed. Whatever is right for the United States is right for other democracies, Obama stressed addressing the United Nations. The US President also said he would not hesitate to use force. He mentioned «a rising China, or a resurgent Russia» as perceived adversaries. He rejected the possibility of restoring the pre-war status quo in Syria and called Syrian President Bashar Assad a tyrant. 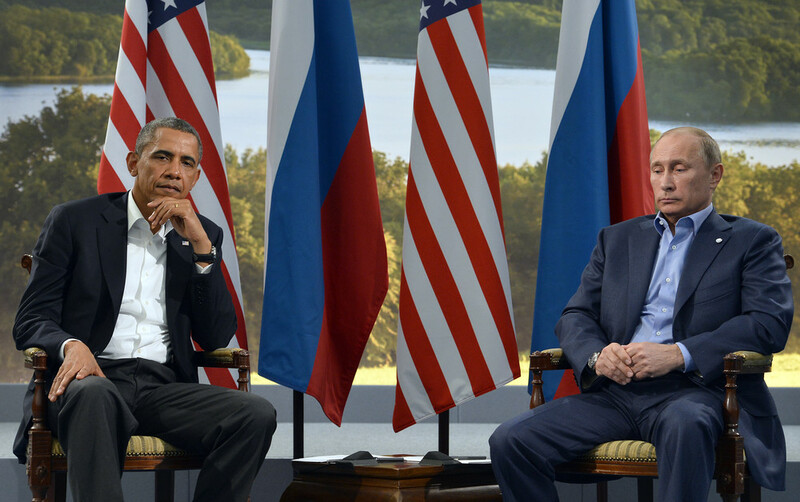 Obama slammed Russia over its support of Damascus. According to him, the fight against the Islamic State and removal of Assad should not be mutually exclusive. Evidently, the US stance on Syria has not changed a bit. Obama is adamant in his desire to continue the same policy. In general, it was a confrontational speech. Just a few hours before the scheduled meeting with Vladimir Putin Obama resorted to hostile rhetoric towards Russia, something that had recently appeared to retire from US public discourse. That’s what CNN immediately pointed out. It emphasized that the President’s words were mainly addressed to «political foes at home». He used the UN podium for protecting his dubious reputation and putting the blame on others. He failed to speak convincingly about global problems. The President said nothing new about Syria except routine accusations against Putin and Assad. As before, Obama believes that a compromise with Assad is a bigger evil than rejection to eradicate terrorism in the country. The President prefers to wait for a «new leader» to appear in Syria, though he has no idea who it could be. Apparently, Obama is at a loss. He is helpless. As expected, his speech was evidently frustrating for Americans. In 90 minutes, after the Russian leader addressed the session of the UN General Assembly, they said that Obama appears to leave the political stage a year before his term expires. It’s hard to make any judgements right after the Putin’s speech. Unlike his US counterpart, he expressed full respect towards the audience representing 144 states of the world. He touched on the burning political and economic issues of the agenda and briefed on Russian vision of prospects for fight against terrorism and the future of the United Nations. His proposals will be studied and assessed. Russia believes that the rejection of cooperation with Syrian armed forces in the fight against terrorism is a blunder. Putin is right saying the military is the only force to fight terrorists in Syria. He said, «What we actually propose is to be guided by common values and common interests, rather than ambitions. On the basis of international law, we must join efforts to address the problems that all of us are facing and create a genuinely broad international coalition against terrorism.» Russia is ready to play the role of intermediary and ensure interaction with the Assad’s government, but it rejects the conditions put forward by Obama – to join the fight against terrorism in the Middle East under the United States command. Putin consistently stresses that the US attempts to undermine the authority and legitimacy of the United Nations are extremely dangerous. Russia proposes a collective solution based on international law. President Putin called on the UN member states to take part in a ministerial meeting convened by Russia in its current role as president of the United Nations Security Council to come up with a comprehensive assessment of Middle East threats. Russia offers to discuss a new UN resolution on combating the Islamic State and other terrorist groups. Saudi Arabia, Turkey, Iran and other countries of the region are invited to join leaving aside their differences and existing contradictions. Putin noted that the United Nations mission is to seek and reach a compromise. He stressed that differences have always existed, as well as the veto right has always been exercised. It is «absolutely natural for so diverse and representative an organization.» It’s still not clear how the United States will react to the Russian proposal. The speeches delivered by Russian and US leaders make it clear that the crisis cannot be solved till one of the sides decides to meet the other halfway. Are the presidents ready to make this step? Anyway, US public opinion supports the idea of reaching an agreement with Russia on joining efforts in the fight against the Islamic State. The US allies also come to this opinion. Speaking at the United Nations General Assembly French President Francois Hollande said, that there are some people applying efforts to include Bashar Assad into the process, yet he sees Assad as a part of the problem in Syria and therefore not a part of the solution. The French President supports the idea of forming a coalition government in Syria to include incumbent cabinet members and opposition. 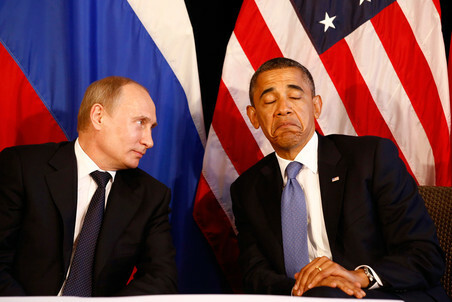 Will Obama take this view into consideration or reject it just because the Russian President spoke along the same lines?